Purchasing or selling your yacht can be an overwhelming experience. Here at major yacht services we offer the right guidance and advice to negotiate your way through the process with relative ease. Being in contact with over 5000 superyacht captains and crew we can advise on yachts not currently listed that will soon be on the market for sale or on clients that will soon be on the lookout to buy, most simply putting buyers and sellers together. 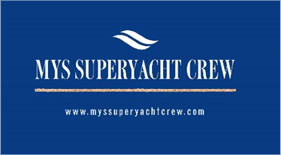 By acting independently from yacht brokers and sales representatives MYS are free to present yachts that most suit the owner’s needs and requirements, giving accurate advice on sale price and presenting comparison vessels from a variety of sources and locations. We will provide guidance on the expected running cost, survey requirements, and refit considerations of the yachts currently on the market so there are no hidden surprises post purchase. Being a specialist in vessel importations and customs clearances, we can also supply an accurate breakdown of the costs and considerations for choosing to purchase a foreign vessel as opposed to purchasing a yacht based locally. From advice on importation taxes to transportation costs of your vessel into Australia, we can assist every step of the way. Buying or Selling, please get in contact today for a confidential and obligation free discussion on how we can assist.